If you operate a rental property, you are well aware of the variety of maintenance tasks you need to keep up with to ensure the property is in good condition and an inviting place for tenants to live. One task you may have forgotten to put on your to-do list is air duct cleaning. As a local company that specializes in air duct cleaning services in Las Vegas, we are passionate about helping our neighbors understand the importance of this task. 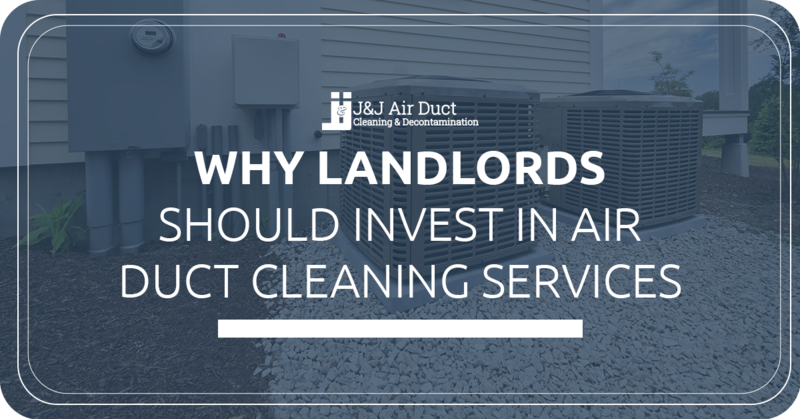 If it’s been more than a year — or perhaps has never happened to your knowledge — since you cleaned your rental property’s air ducts, check out the reasons why you should invest in this valuable service. Did you know that when your HVAC system is dirty and debris is clogging up the filters, you can actually shorten the lifespan of the system as a whole? When we provide air duct cleaning services we also clean other important components of your HVAC system, such as filters, vents, supply and return grills, and the air handlers. When you invest in this thorough, professional cleaning of your HVAC system, you will find that your system lasts longer and runs more efficiently. This is extremely beneficial in lowering energy costs when you foot the bill on utilities or if you run a multi-family housing property. As tenants move in and out, your rental property can acquire less than ideal smells that make it difficult to rent again. If your last tenants smoked inside the property, owned pets, or in any way created an unappealing odor, cleaning the ducts will go a long way in improving the air quality of the place. We can help you rid the property of lingering odors through a deep cleaning of the interior of air ducts and filters. This will remove dander, fur, smoke residue, and other harmful contaminants that lead to bad smells. In the end, not only will your next tenants appreciate this, it will be much easier for you to rent the place to quality tenants. When you operate a rental property, you have an ethical responsibility to provide your tenants with a good home. Whoever rents the property deserves to have a healthy and clean place to reside. By cleaning the ductwork, you will contribute to a healthier life for your renters. A clean HVAC system will reduce germs and allergens, providing improved indoor air quality. With people moving in and out of your property, it can be easy for germs and other contaminants to build up in the duct work. This, eventually, can make the place musty and cause the quality of air in the home to plummet. Whether you plan on selling the rental property one day, moving back into yourself, or to continue renting it out, eradicating contaminants and sanitizing the HVAC system will protect your investment. If you are a landlord and you are in need of air duct cleaning in Las Vegas, we invite you to reach out to our team at J & J Air Duct Cleaning & Decontamination. We can assist you with sanitizing your system, leading to a higher quality of air for your tenants. Talk to us today about how we can assist you with providing a clean and healthy environment for your tenants.